A moderately fast growing graceful weeping tree. 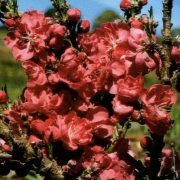 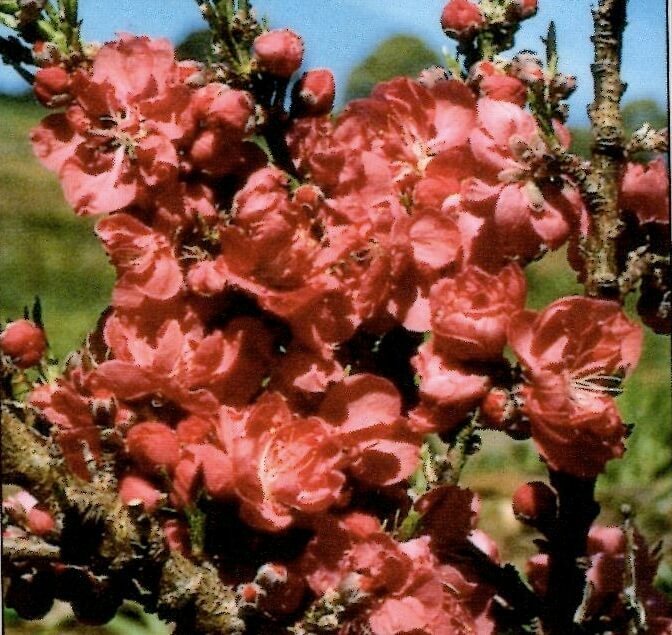 Also known as the Red Leaf Weeping Peach tree. 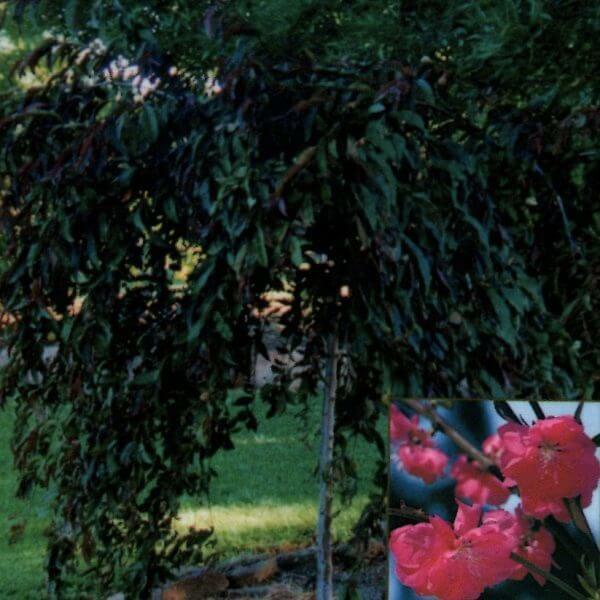 Weeping branches with Spring foliage of large semi-double bright crimson blossom turning softer red during Summer.